Weight between 2.5 kg and 3,5 kg. 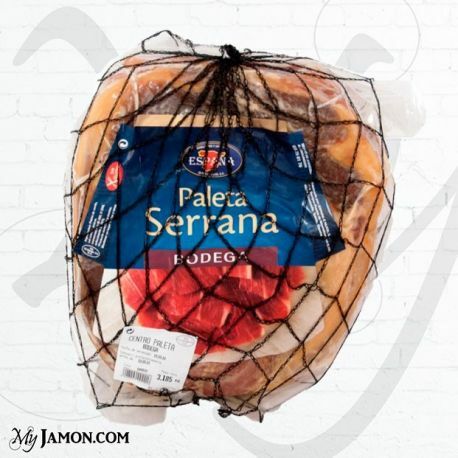 España's Serrano shoulder has an intense flavor, soft touch, deep aroma. Selected from selected pigs fed natural feed and cured buy an artisan winery for over 10months. 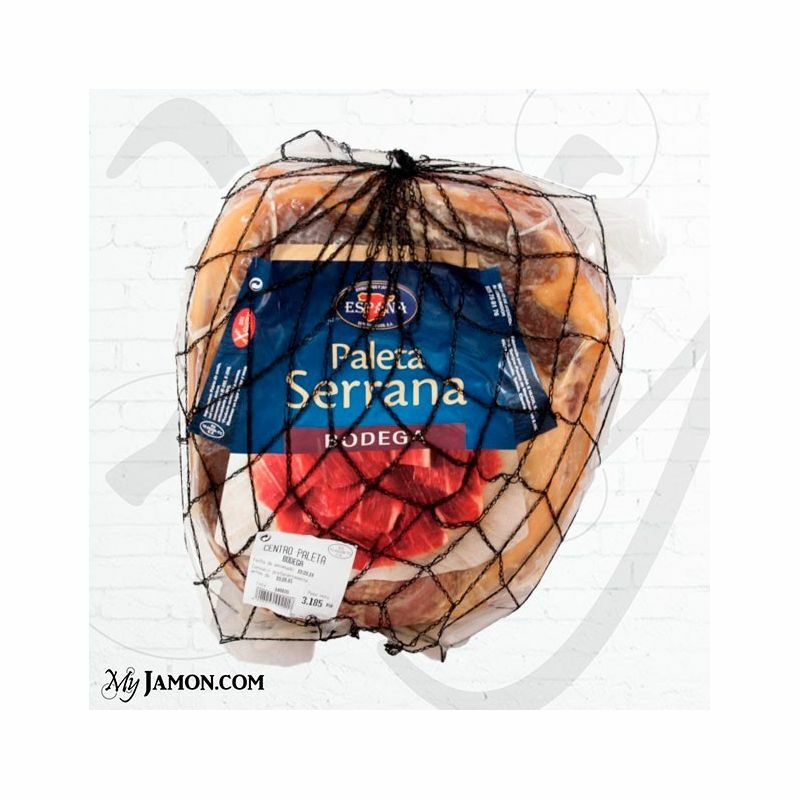 Ingredients: ham, salt, sugar, preservatives (E-250 and E-252), antioxidant (E-301).